Our 10 individually designed Premier Suites at The Marine offer mesmerising views over the expansive ocean vista surrounding the hotel. Two of our Premier Suites also feature private balconies with views over Walker Bay. Each Premier Suite encompasses a separate lounge with flat-screen TV, Satellite TV channels and DVD Player. A beautifully decorated bedroom with en-suite bathroom is made all the more comfortable with air-conditioning and under-floor heating throughout. In addition, two of the Premier Suites include a fireplace – the ultimate home accessory during chilly winter nights. 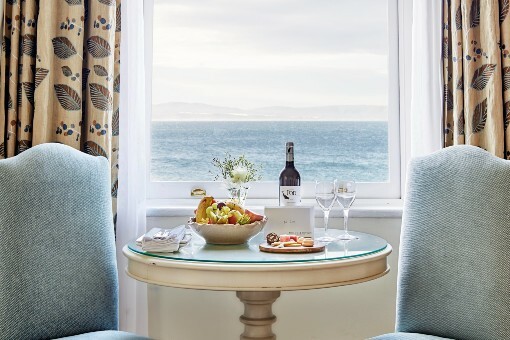 Copyright © 2018 Official website of The Marine Hotel. All rights reserved. Terms and Conditions.